This programmable DC Electronic Load is capable of supporting up to 200 Watts of power. This DC Electronic load can be used with power supplies up to 360 Volts DC and 30 Amps. It includes a rotary selection switch as well as a numeric keypad which may both be used to input the maximum voltages, current and power settings. 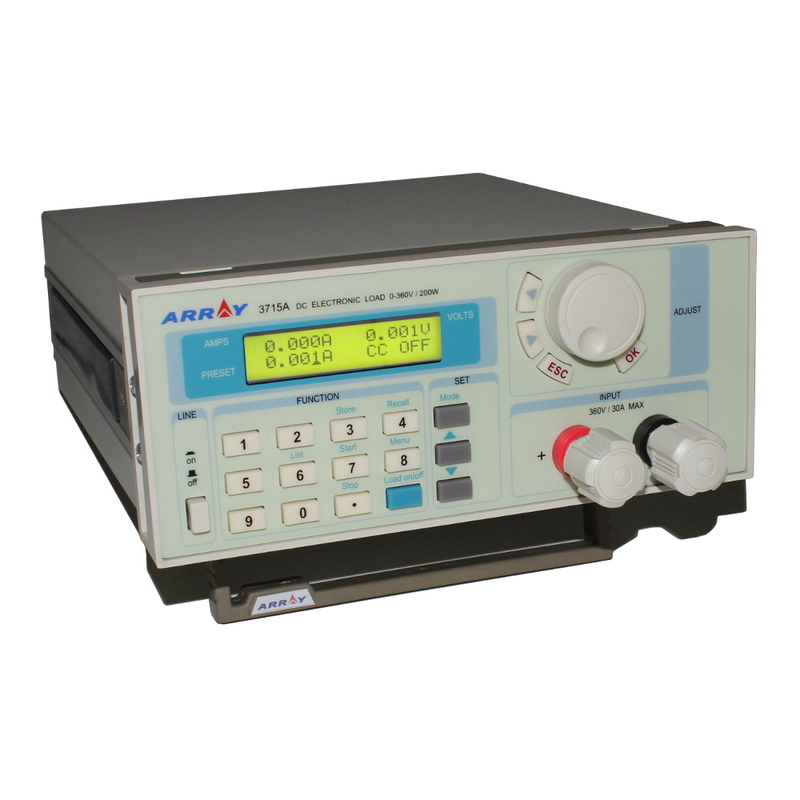 The 3715A DC electronic load is ideal for use in labs, r & d, battery maintenence facilities etc. , Ideal testing device for DC power supplies and high-capacity batteries. The 3710A Programmable DC load also features internal memory, and can also be connected to a PC, to implement remote control and supervision.